Ladies, you can never have too many shoes or necklaces; my husband though disagrees with me. I tried explaining that there is nothing like a dazzling diamond solitaire or chunky necklace to complete an outfit and make you feel all girly and glowing, but since he’s not a girl he just doesn’t get it. Especially when he sees the price tags on some of my most prized accessories. So, to keep my hubby, and more importantly, me, happy, I started creating my own. And not only was it pretty easy to do but they came out looking pretty damn good. 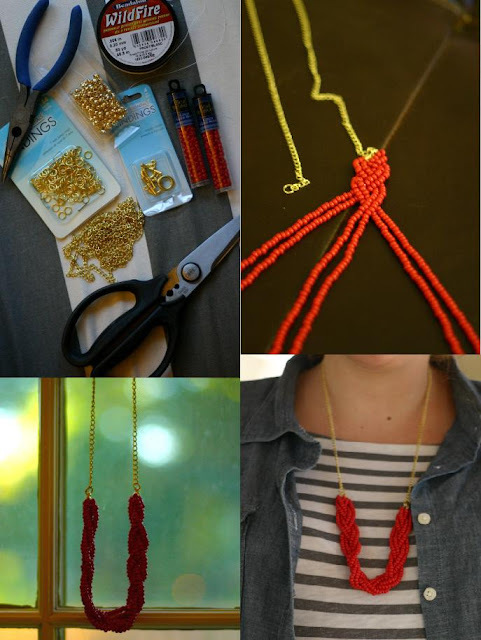 Want to make some jewelry of your own? 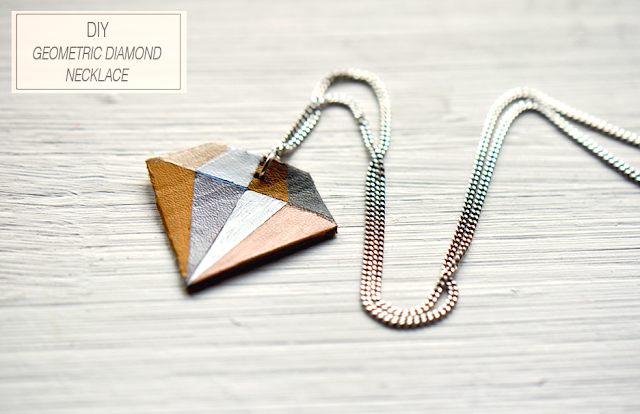 The read on for 19 fantastic DIY necklace ideas. Who said DIY has to look dinky? 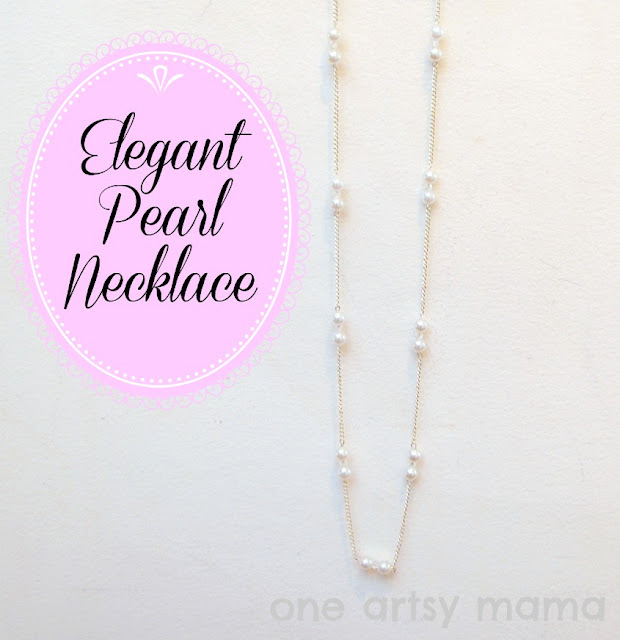 As One Artsy Mama proves with this stunning pearl creation, you can really make something from nothing. And it will cost you a fraction of what a big store would! For a funky, eclectic look try this tutorial from A Common Thread. The warm amber tones are great for the summer and you can go fancy and pair it with a dress or go casual with jeans. Either way, it’s a winner. Bold, bright, and ideal for summer and fall attire, this necklace from Fashiony.ru is sure to turn heads. And where they ask where you got it, well, we promise we won’t tell! This necklace from Gingersnap Crafts makes a great gift and is a beautiful way to keep your loved ones with you wherever you go. You can also give this as a graduation or wedding gift, using baby and adult photos of you and your not so little girl. Honestly, this necklace from Honestly WTF is stunning. Easy to make, it is the perfect accessory for that little black dress and can be worn alone or with simple diamond stud earrings. Whether you use one solid color or string together beads of varying shades, this necklace from design from Chasing Davies is a winner. Goes great with casual wear and although it’s a bit time consuming, the results are worth it. Oh so delicate and feminine, this project from 1 Dog Woof is one that I actually made and let me tell you it looks even better in person. Plus, you can customize the seashell, cabochon, and jewels. With some clay, yes clay, buttons and a little hard work you can create this stunning piece using the tutorial from 365 Days of Crafts. The detail work is stunning and although you can use any color, the red works best. I love long necklaces like this one from Oh the Lovely Things because they have a chic, casual vibe that works with almost any outfit. And the leather material gives it a polished look that can go from the park to a restaurant. 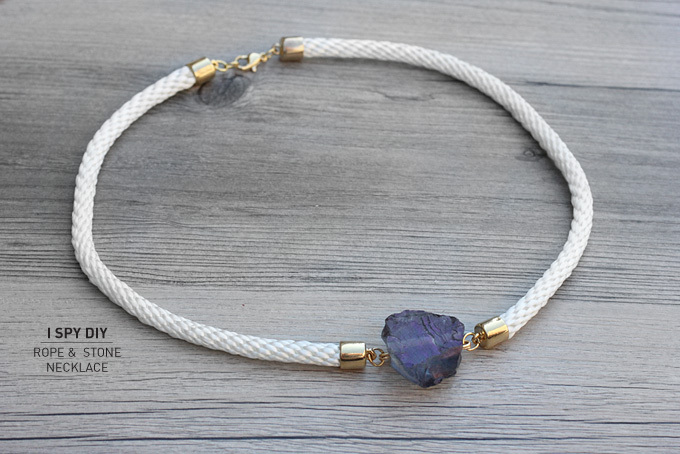 Little girls need pretty things too and this necklace from A Jennuine Life fits the bill. You can choose their favorite colors and even have them help you if they’re old enough. All their friends will want one! A necklace can inspire whoever wears it, especially when it has words of encouragement written on it. 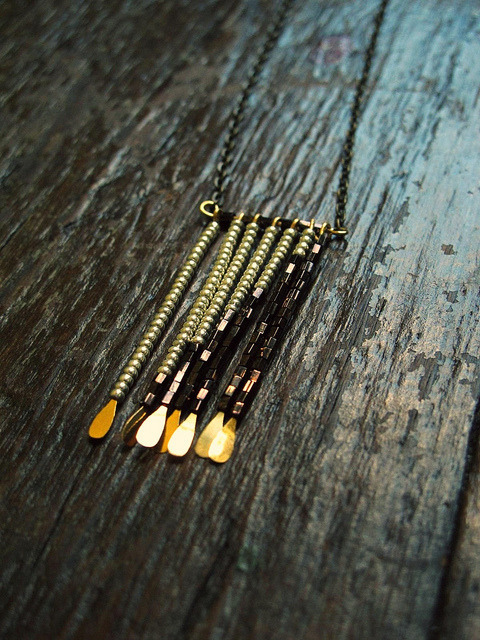 Edgy and industrial, this tutorial from Chicken Scratch NY goes great with a tee and jeans. For an authentic looking, Indian-inspired style this project from Brit + CO is another of my favs. The combination of colors works with any outfit and will instantly jazz up whatever you’re wearing. Try pairing it with a beautiful tank and long skirt for a perfect summer afternoon outfit. 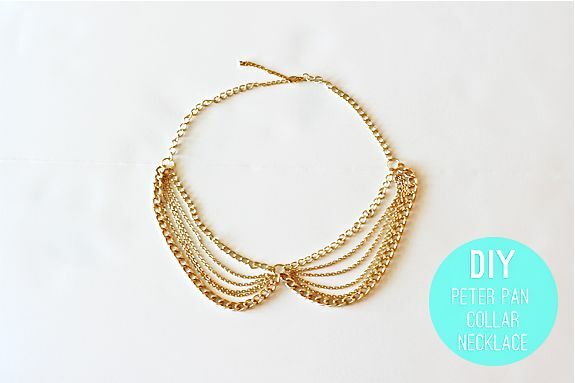 This choker style design from Hello Glow is the perfect pick me up for a slinky dress. With this piece you don’t need any other jewelry; just a bold lip and some killer heels. Looking for the perfect necklace for a wedding or other big event? Then put together this darling piece from My Girlish Whims. The beads are striking and you can choose any color you need to take your attire to the next level. 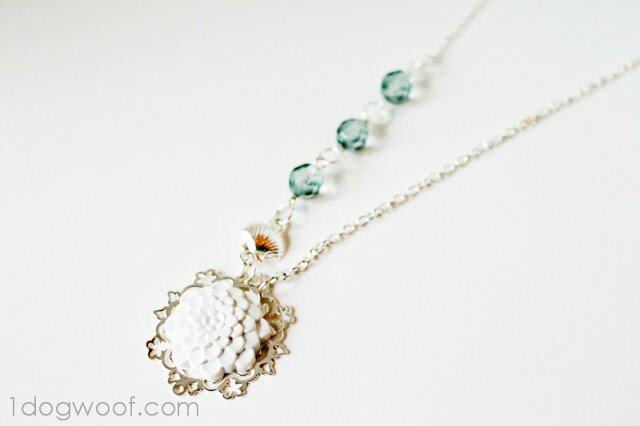 Perfect for brunch or a day out with girlfriends, this necklace from I Spy DIY is beautiful in its simplicity. This is also a great piece for teens, as they can choose the stone and help make it. 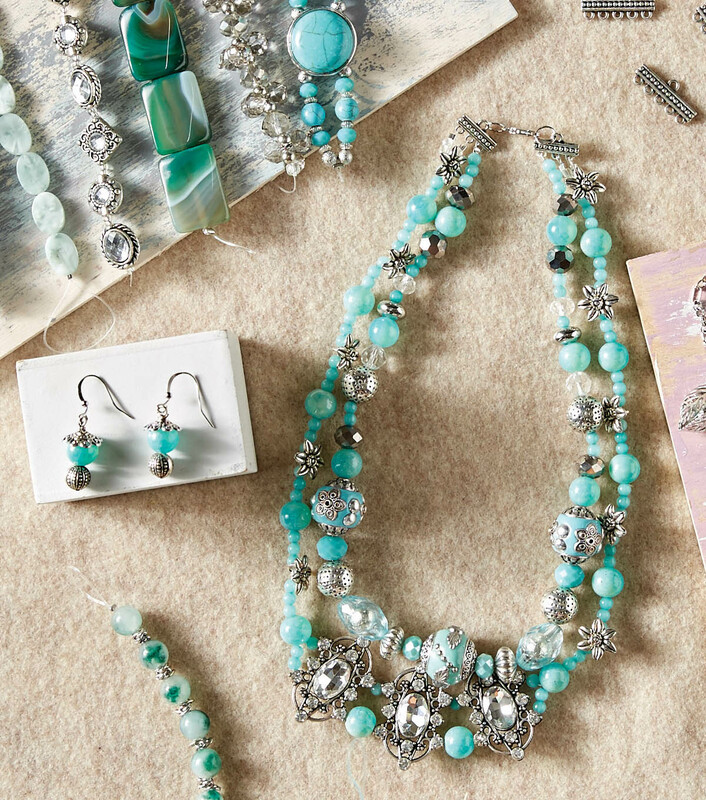 I love the boho look, especially during the spring and summer months and this necklace from Martha Stewart is reminiscent of that. There is a delicacy to this piece and a feeling of whimsy, which will make you feel young again every time you put it on. Pair it with a long skirt or flowy dress. From the stunning turquoise colors and silver hardware to the intricate design this necklace screams expensive but is anything but. The tutorial from Joann is surprisingly easy and once you make it I guarantee you’ll never want to take it off. Nameplates can be simple, elegant, and inexpensive when you use this tutorial from A Beautiful Mess. You can use silver or gold and do any shape, from rectangle to round. This makes a great graduation gift and can be worn to work or a night out. 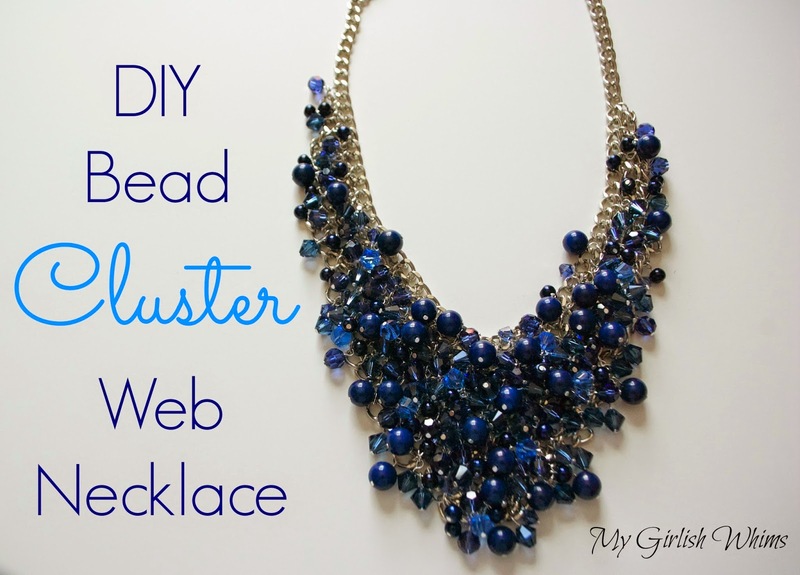 I hope you love this list of DIY necklace ideas as much as I do. Please be sure to share it with your family and friends so they can look as fabulous as you!